Played guqin (7 silk strings zither) on a warm Singapore night. It has not rained for a month. 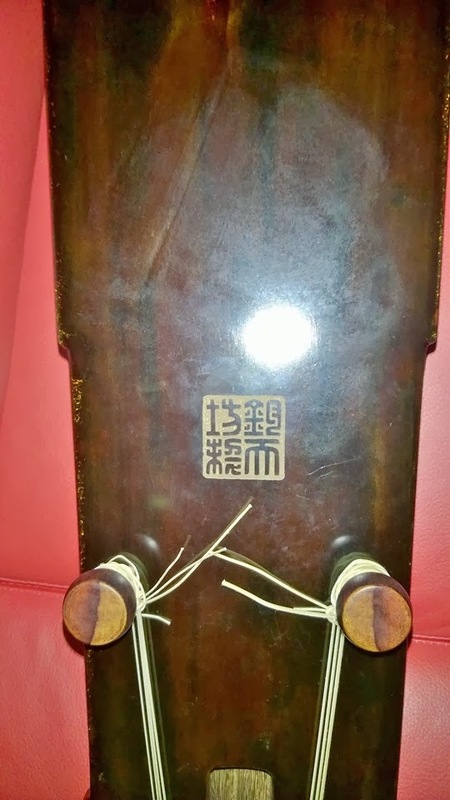 This is a low end entry level model 幽兰空谷 (elegant orchid in desolate valley) made by Beijing factory 均天坊 Jun Tian Fang. 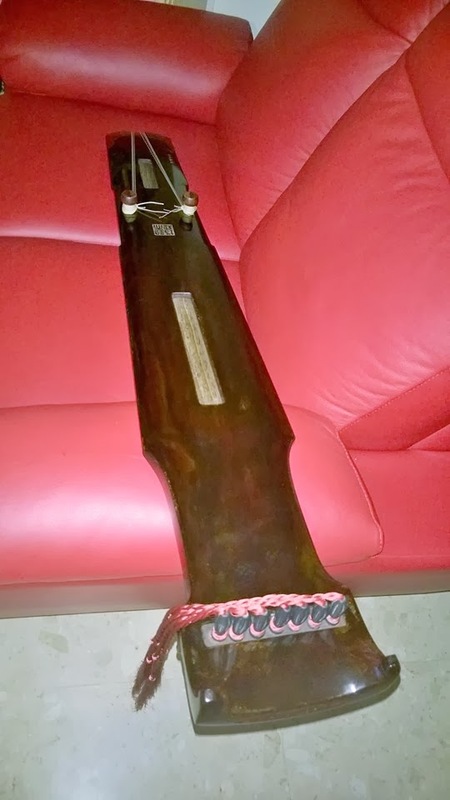 It sounds very nice with silk strings when played on my lap. 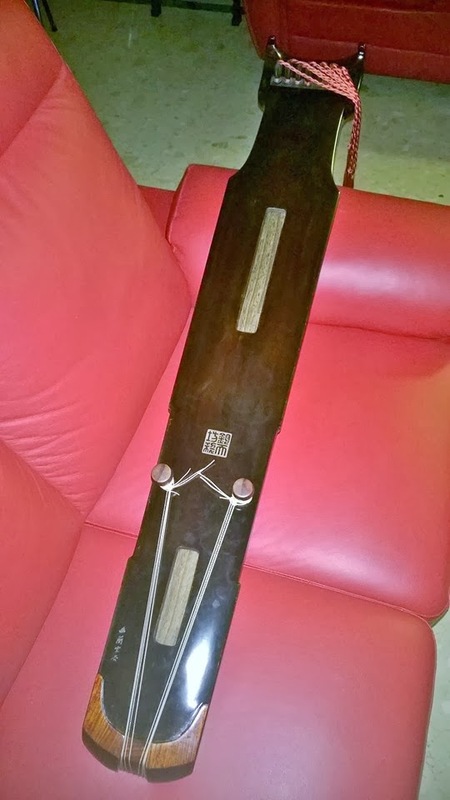 I could feel the sonic vibrations of the guqin on my lap. It was very wonderful. 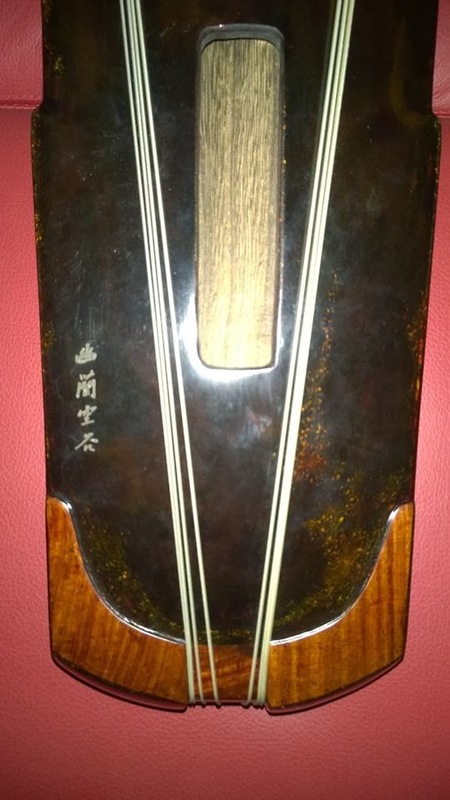 Finally, I realized how the guqin was really meant to be played on a person's lap; just like a guitar was meant to be held close to a person's body. The experience of playing a guitar if it was placed on a table top would also be dramatically different, I would imagine. 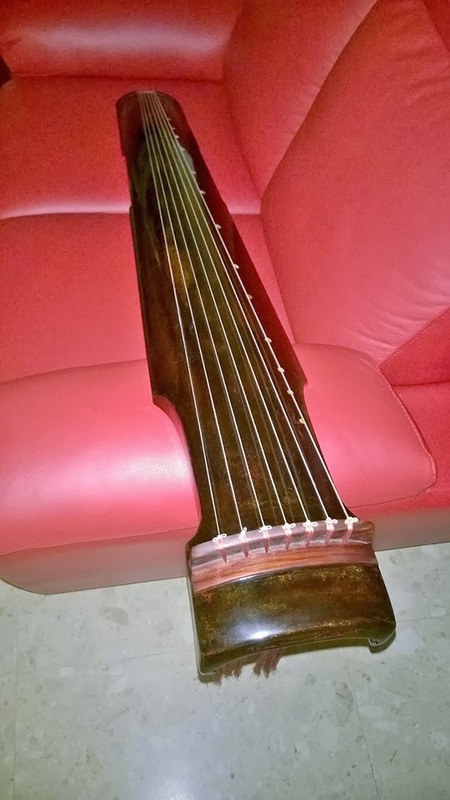 I love playing with silk strings on guqin. There is no aural fatigue listening to silk strings, as there is no metal inside silk strings; hence no aurally fatiguing metallic twang noises.